Milly is known for it’s stand out downtown shops. In the past few years, our downtown area has even won awards for its excellence! One of my favorite shops to visit on a downtown day is North Wayne Street shop Eclectic. The reason I like Eclectic so much is because there is no other store like it downtown. Shopping here is like one big treasure hunt. Here are 5 reasons why I love visiting Eclectic. I love wearing rings. Every day it can be guaranteed that I’ll have at least 4 or 5 rings on which is why every time I step into Eclectic, I head straight for their jewelry. There are such unique tastes represented and there is always something that I love. 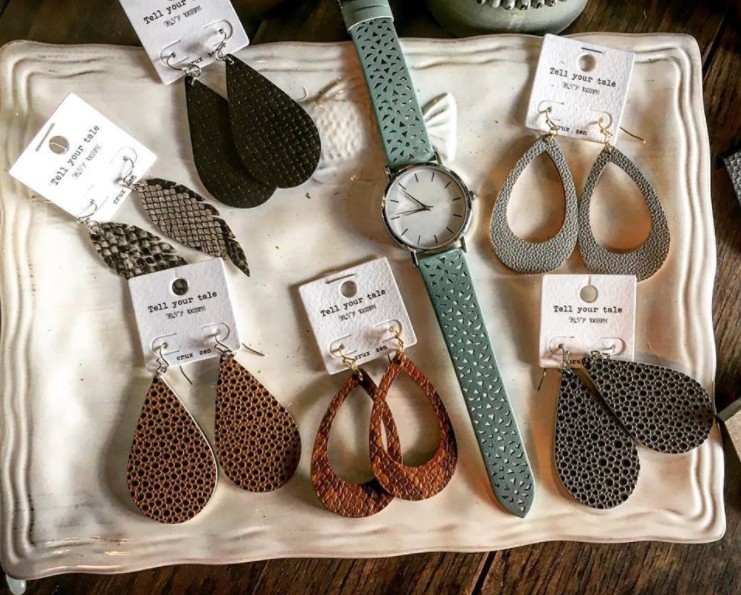 Most recently, I saw a few pairs of leather earrings that I adored! If I need a birthday gift for a friend or a Mother’s Day gift or even a gift for no reason, I’ve always been able to count on Eclectic to find something great for any event. Home accessories are what Eclectic is most known for. There are now new, rustic and refurbished signs, large and small that make for the perfect housewarming gifts. There is also adorable decor that’s specific to Milly. My personal favorite gifts to give (or receive:) ) are unique coffee mugs. I have found the most fun and colorful owl mugs here! This is just the tip of the iceberg. It’s a treasure trove! Eclectic goes beyond being a small-town shop. Just out the back door of Eclectic is a back porch where friends can gather for a painting party. Ask the sweet owner, Karen, about renting the space and she can help you organize the perfect event for you and your friends. If it’s a friend’s birthday, have the party on the back porch and then pick up a personalized gift inside! Bring your friends and a bottle of wine for the perfect evening out. 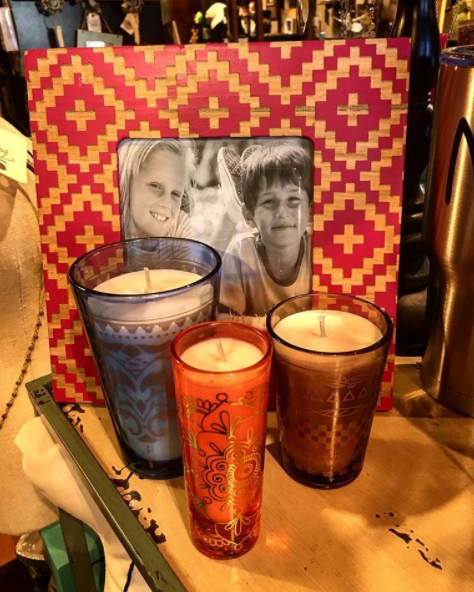 On the first Friday of the month, Eclectic does a sip and shop event. When you stop into the store, you can enjoy a glass of wine or a bottle of beer while you browse. It’s the perfect way to start a new month! As a local business itself, Eclectic has supported other locals too. There have been book signings from local authors such as Sandra Worsham and there is even a whole section of the store dedicated to Milledgeville talent. 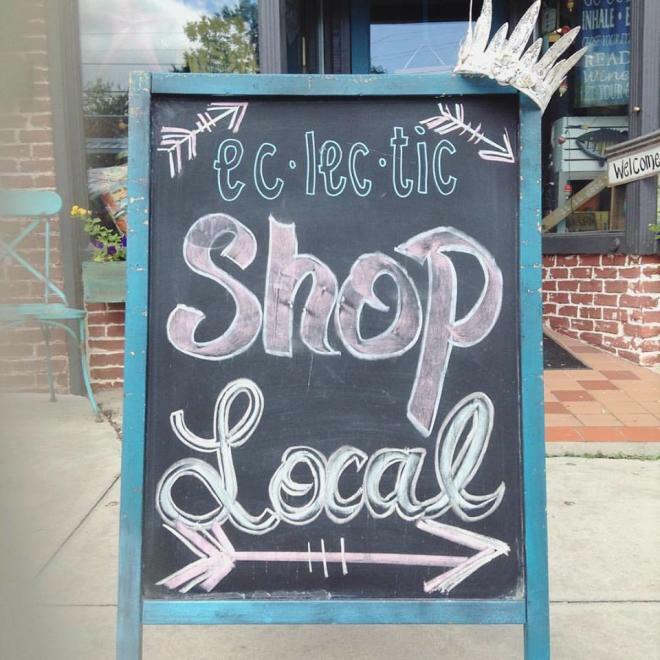 Shop Local and head into Eclectic next time you have a day in Downtown Milly! 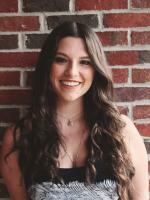 Amy is a senior Mass Communication major and Spanish minor at Georgia College. She loves traveling, photography and cooking. If anyone’s ever looking for her, she can usually be found in Downtown Milly at Blackbird drinking an absurd amount of coffee and reading a book.